Joint filler and expansion have plenty in common, especially when it comes to describing our latest client – Megaron. Whilst joint filler expands in holes that need filling, Megaron have been expanding their services across Europe and are now stocking in the UK. Megaron is a Polish company that produces a range of products for the construction and DIY trades. Based in Szczecin, towards the north of Poland, Megaron are now stocking two products in B&Q stores, selling joint filler & finishing plaster SMIG and gypsum-polymer plaster professional. GottaBe! has been helping Megaron with their UK expansion, driving awareness and pushing sales across 20 B&Q stores in the London and specifically, Greater London area. Not only have we been providing Brand Ambassadors within the 20 stores, but GottaBe! has also been carrying out an out of home campaign on London busses. 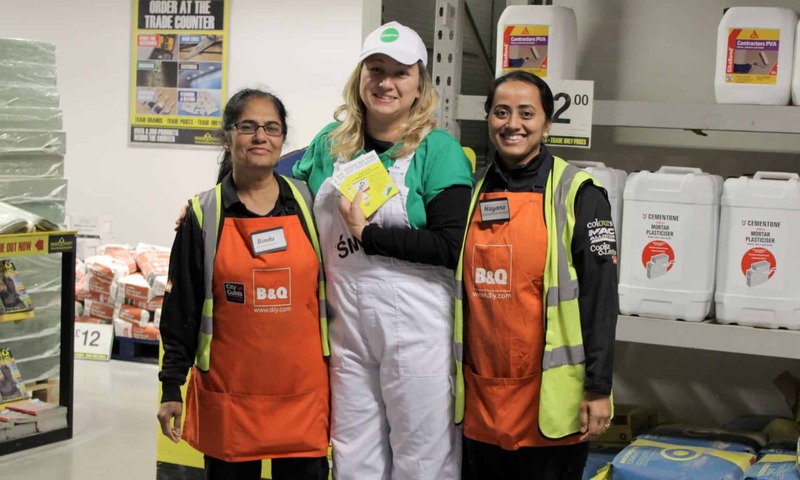 A lot of planning has gone into recruiting the Brand Ambassadors for B&Q stores, not only have we needed to find 20 people to fulfil job rolls, but we needed them to be committed to a whole months worth of work, split between either 3 or 5 days a week, depending on store. After bringing the team together for a training session on the products and to hand them their lovely new uniforms, our Brand Ambassadors have since been speaking to tradesmen and DIY enthusiasts about the quality of Megaron products, describing its strengths over the competition and explaining Megaron’s value for money. On top of the store campaign, GottaBe! has also been running an out of home campaign on a number of London busses. The busses have been carefully selected so that they are running along routes in close proximity to the B&Q stores with Brand Ambassadors in them, enticing people to visit the stores and buy Megaron products. So far the campaign is going very successfully, awareness is being driven and running the in-store and out of home campaigns in parallel together is really helping to push Megaron with their expansion. Story written by Sam Lovell, Client Service Manager, GottaBe!